Welcome and thank you for visiting my website. What you see has been more than five years in the making. I got into jewelry through a love of gemstones. 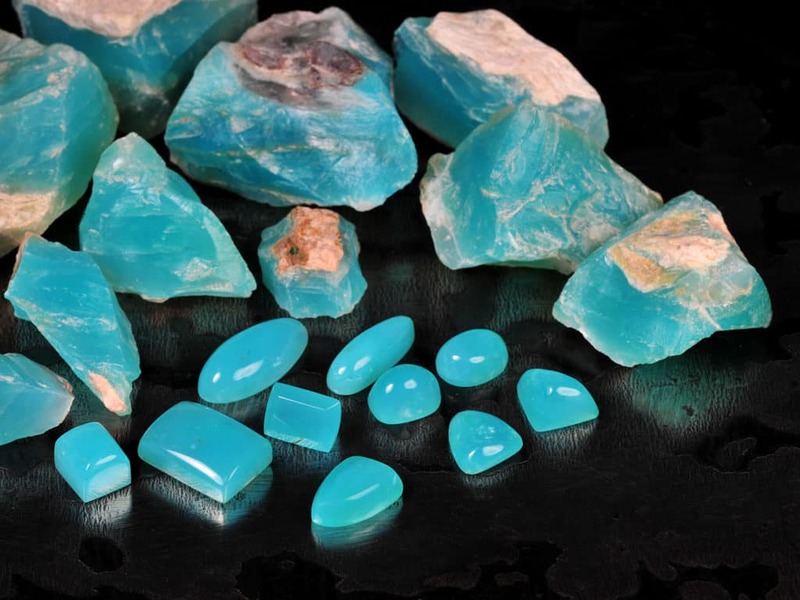 Living in the American West I first developed an interest in turquoise with all of its different nuances and variation. Not too much later, I was on to other gemstones including, ruby, sapphire, tourmaline, garnet, opal, sugilite, chrysoprase, etc. To me, it’s all about the color. Browse my jewelry for a bit and it will become apparent that there is a wide range of colors and combinations employed in my designs. 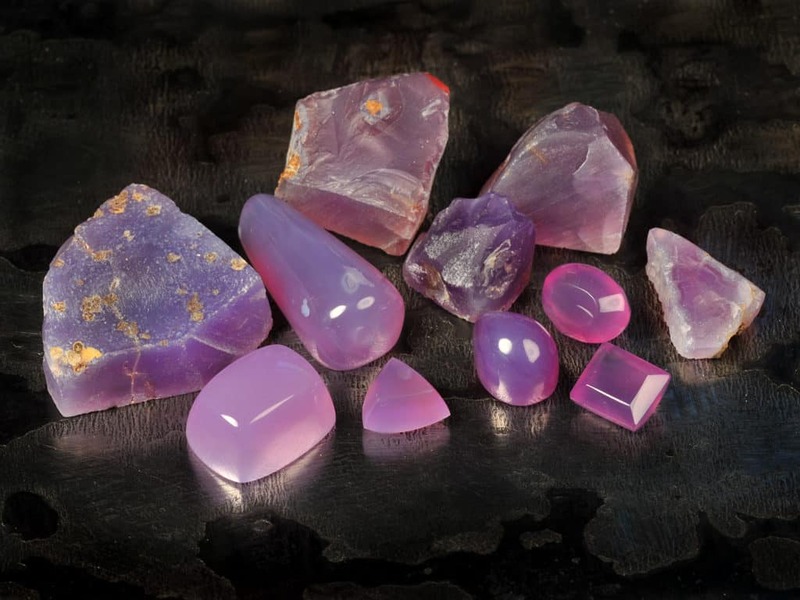 I began cutting gemstones more than 10 years ago. Self-taught, I stuck with it and continued pushing my skills and capabilities. All of the gems in my jewelry I hand cut using rudimentary tools and methods. While I strive for perfection, I’m also attempting to create something of a historical look and feel. Pieces of jewelry that you might have seen being worn maybe 200 or 2,000 years ago. Cutting stones is something of a treasure hunt. Sometimes you find a beautiful swan inside of a piece of rough that looked like an ugly duckling. I’m always on the hunt for the best materials so I can make pieces that have lasting value and beauty. I buy only natural materials that have not been enhanced or “cooked” like so many of the gemstones found in commercial jewelry today. Overall, I like to feel like I’m creating something of beauty that people will cherish for years to come. I also think that I offer substantial value as I use only high quality materials that are not readily available on commercial markets. 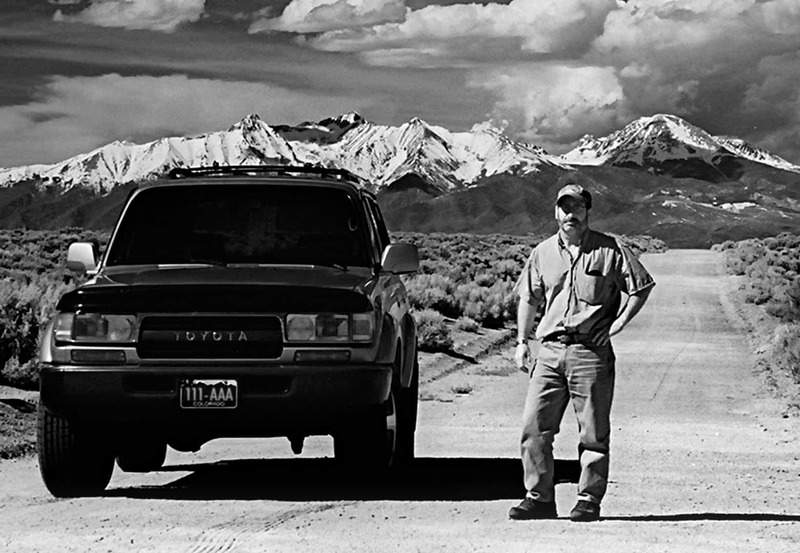 Here is a picture of me taken a few years ago in southern Colorado doing one of the things I love most – driving the back roads just enjoying the wide open space of the West. That’s Blanca Peak in the background one of Colorado’s 14,000 ft peaks. Before getting into lapidary work and jewelry I worked out much of my creative energy photographing places like this in black & white. If you appreciate fine art B&W photography please visit my other website at www.WaytOutWestPhoto.com. What many chain store sales people won’t tell you is that a high percentage of jewelry sold today contains gemstones that aren’t natural. I’m not talking about man-made materials like lab created sapphire but enhancements or treatments to gem material that was earth-mined. 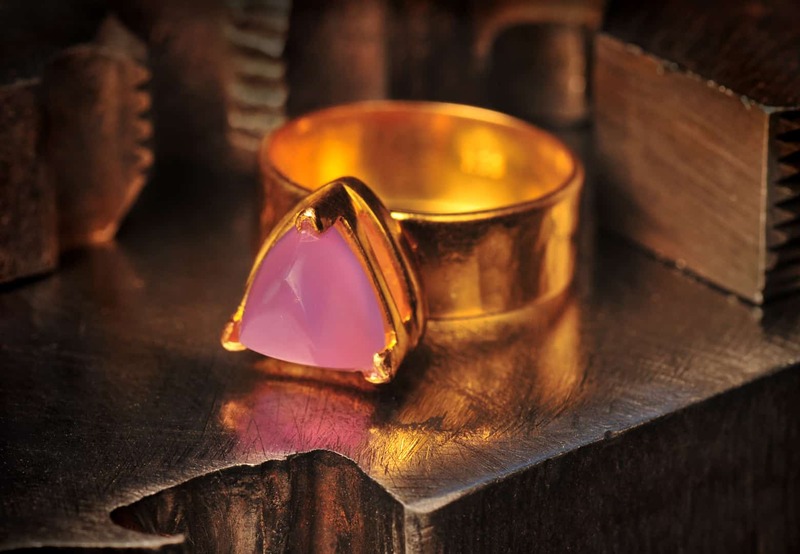 There are many forms of enhancement ranging from outright dying (changing a stone’s color) to heat treatment which enhances what is in the stone to begin with. 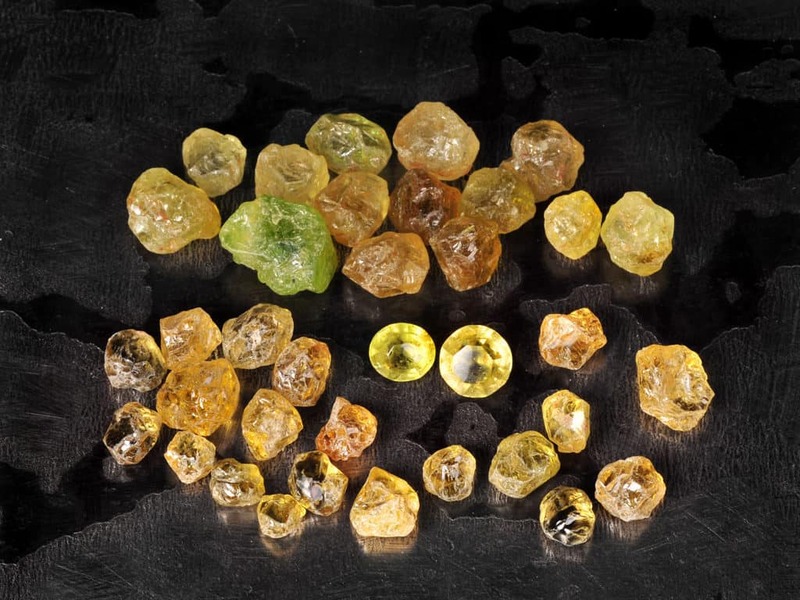 Other treatments include heating with the addition of trace elements to change color of a stone (beryllium treatment of orange sapphires) or irradiating some materials. Oiling or filling surface cracks and imperfections is very common for most emeralds (some say 95% of emeralds have been oiled). The most common enhancement is heat treating. 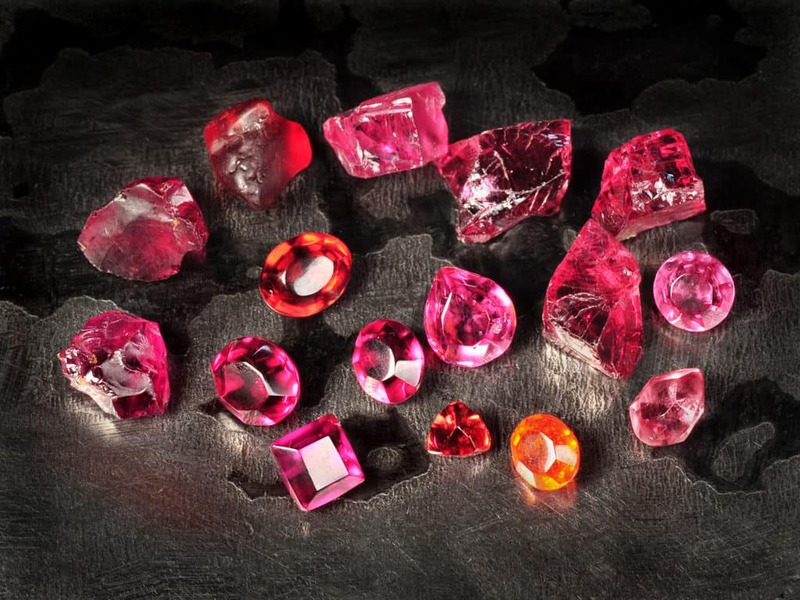 For many stones, like ruby and sapphire, exposing the gem material to high temperatures will deepen the color and melt many inclusions so they become less visible. 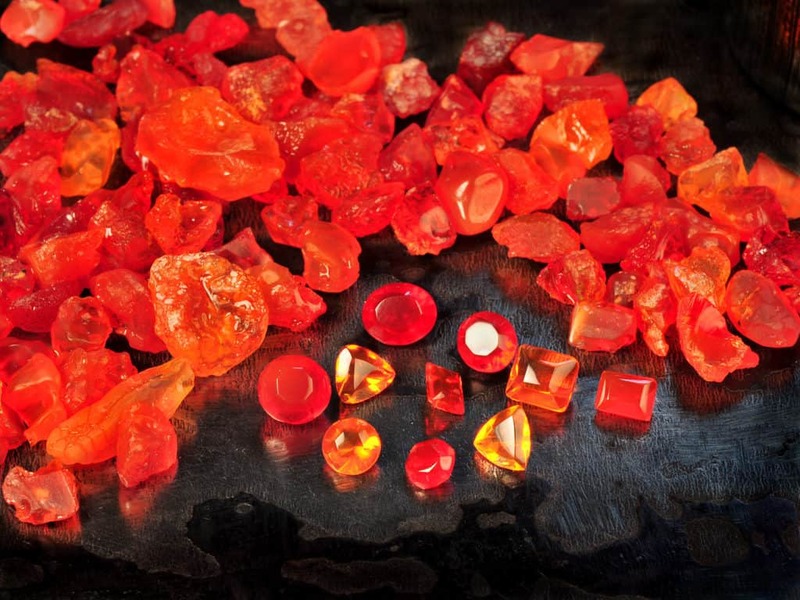 In addition to heat treatment, many of the rubies/sapphires commercially available today have been lead glass filled. Leaded glass is added during the heat treatment process to fill voids and imperfections. Why does this matter? As you might expect it’s all about money. 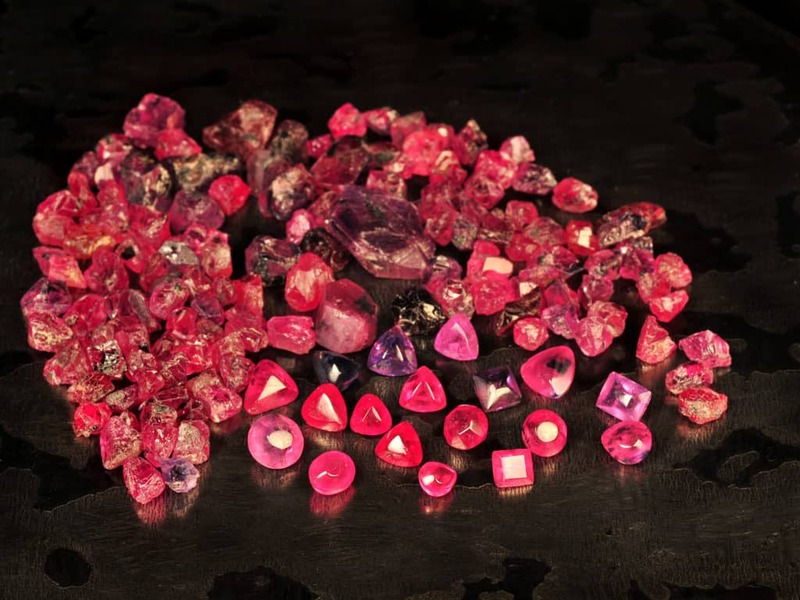 A commercial grade heat treated ruby – glass-filled or otherwise will typically sell for $100-$200/ct at the wholesale level. 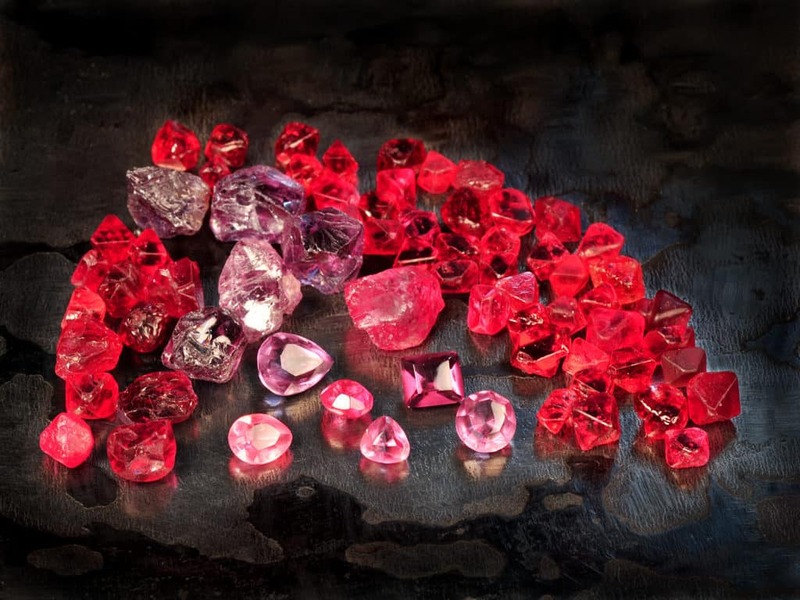 A natural ruby or sapphire will sell for $1,000-$10,000/ct depending upon grade and quality. What I do is different. I buy rough gem material directly from miners or from reputable dealers who know their material is natural. I cut the gemstones myself. My gemstones may have some inclusions but they won’t be treated or enhanced in any way. The cuts are less than perfect as well. 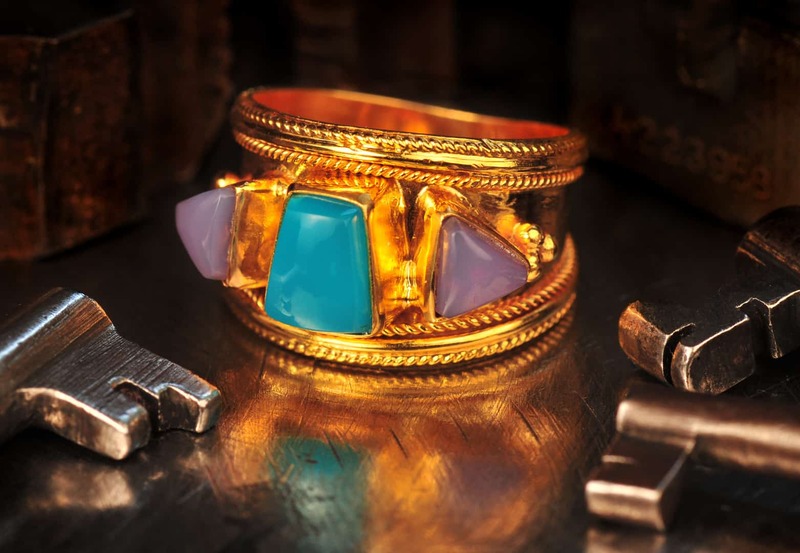 This is what you would find in ancient jewelry since they did not enhance or treat their gemstones and they had rudimentary gem cutting tools. This is all part of the authentic look I am striving for as well as attempting to create one-of-a-kind heirlooms. 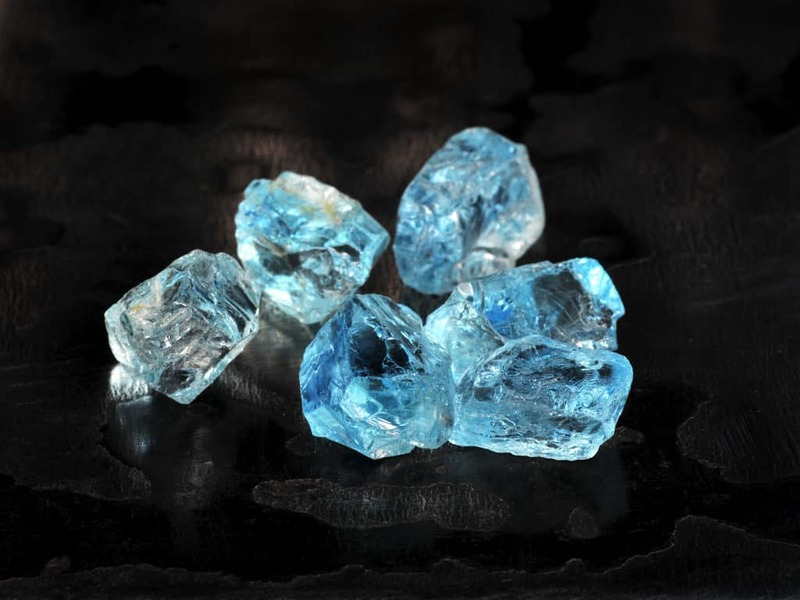 Aquamarine is in the beryl family of minerals. Carico Lake greens come from one place on this planet. 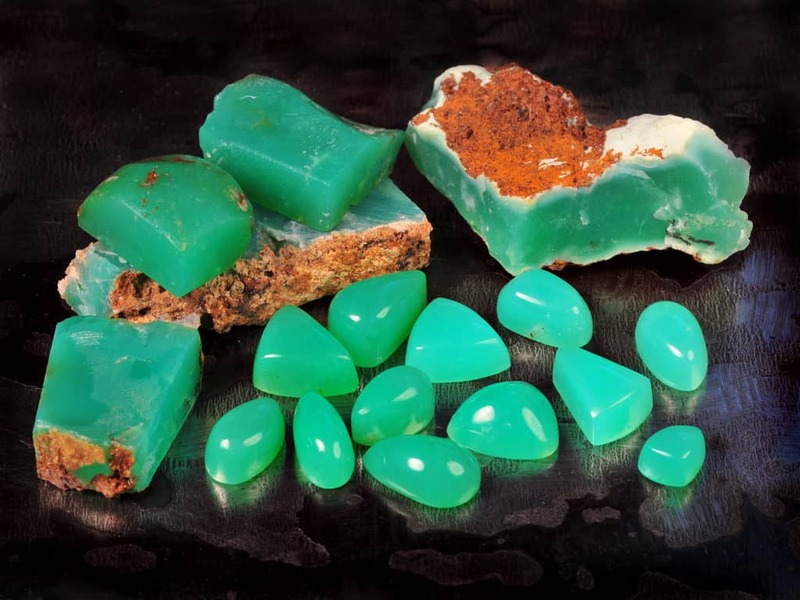 Chrysoprase is a form of chalcedony that has been colored green by nickel. Much of Garnet is coming from Africa and rival some of the best gemstones. Gem Silica is a very hard/durable material that ranges from blue to blue/green. Holly Blue is a form of chalcedony that was found in Oregon. Mali Garnet is a mixture of Grossularite and Andradite Garnet. 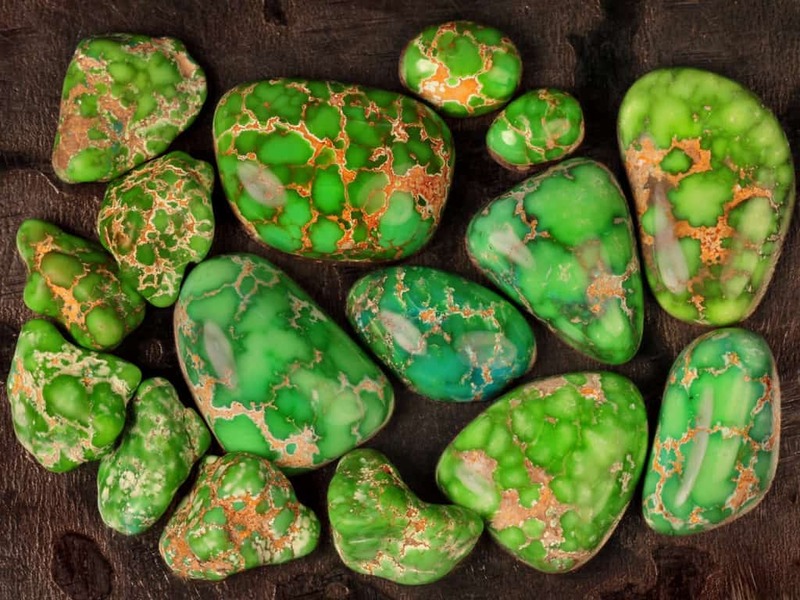 Mexican Fire Opal is an interesting variety of Opal. 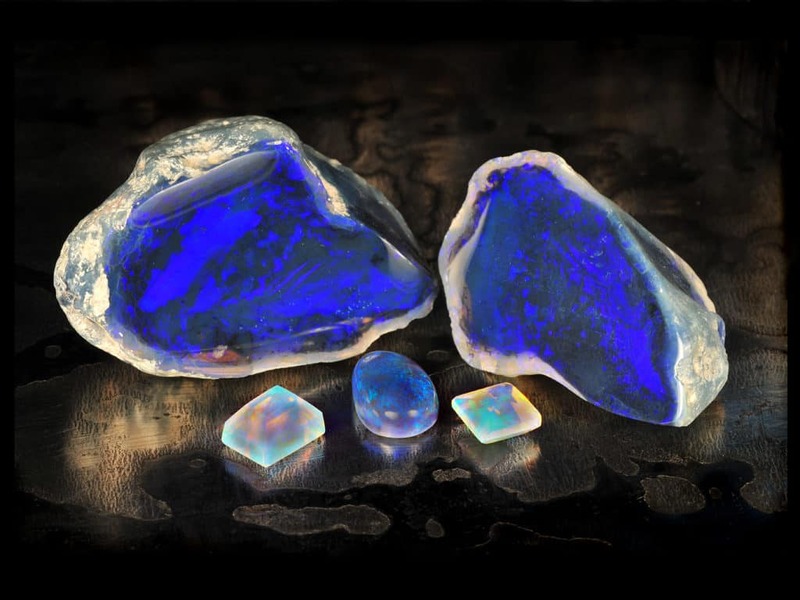 Opal comes in a wide variety of forms and colors. 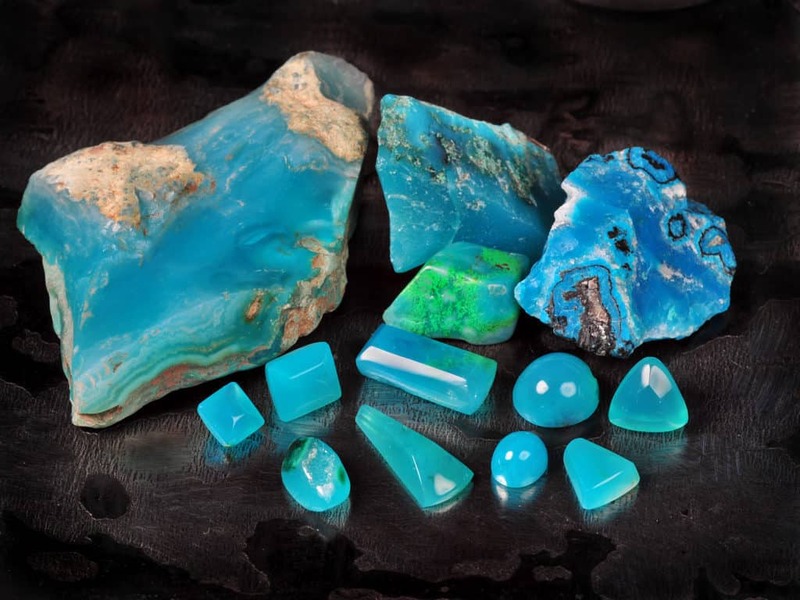 Peruvian Blue Opal is a beautiful and rare Opal. Sapphires can come in a variety of colors. 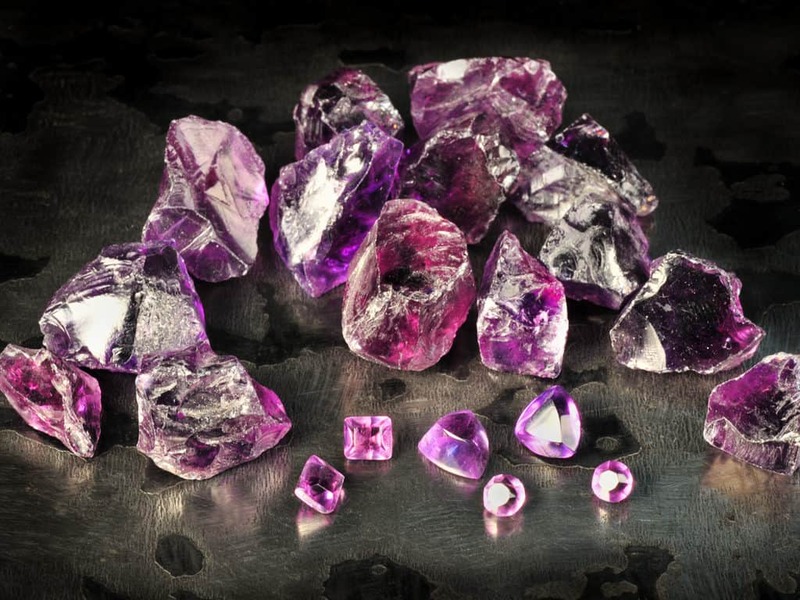 In ancient times, Spinel it was often mistaken for Sapphires. 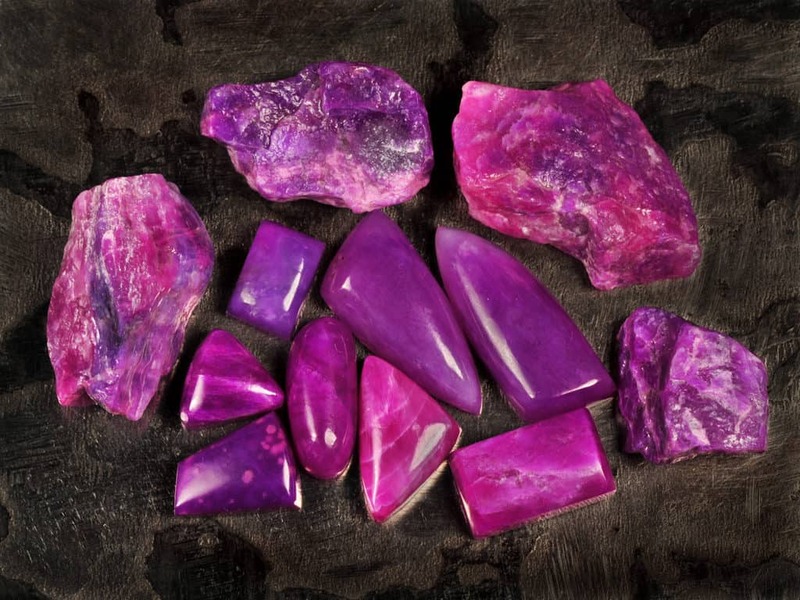 Sugilite is a relatively new gem stone that was discovered in 1944. 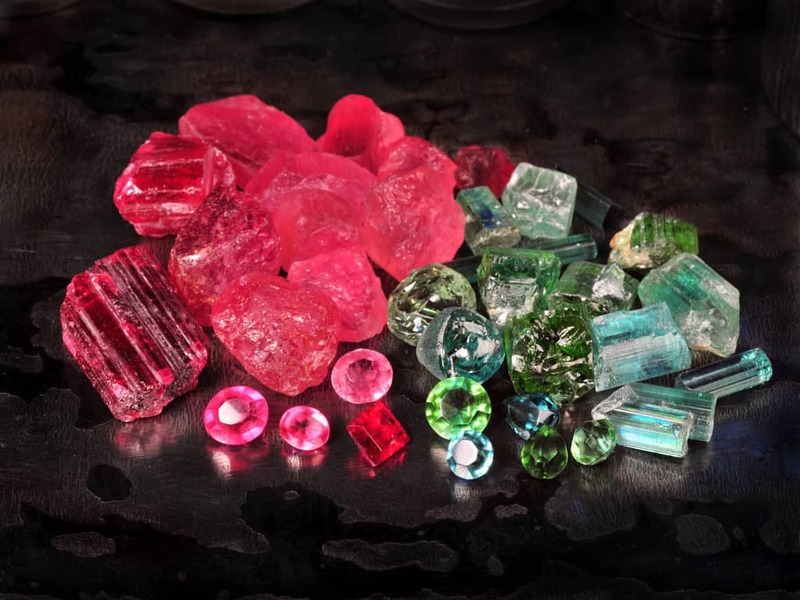 Tourmalines come in different colors due to trace amounts of elements. 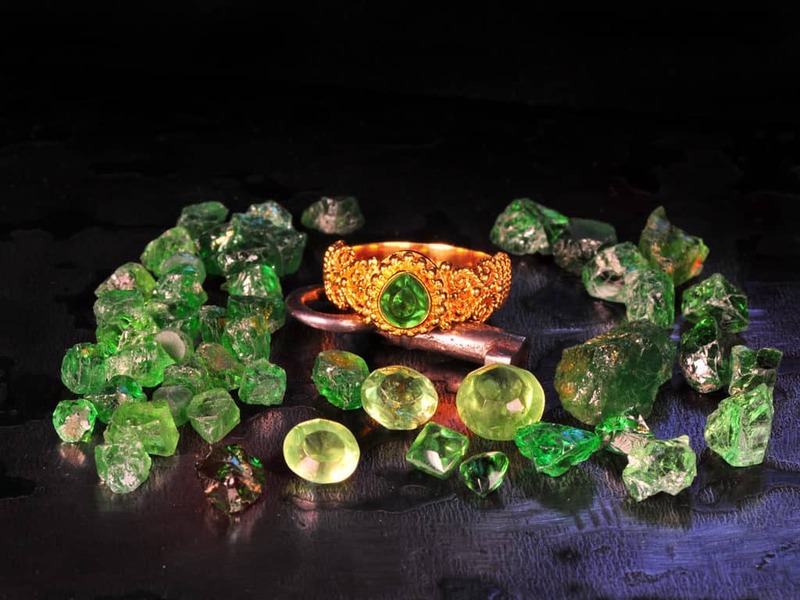 Tsavorite is a grossular Garnet that has been colored by Chromium.